How to set closer ties between European and Asian contemporary art scenes? How to get rid of and go beyond the traditional vision and clichés European audiences have of the Asian art world? Could you introduce NON Berlin and its activities? Asia contemporary art platform NON Berlin was founded in 2014, under the purpose of build­ing an international network among artists, directors and art spaces who work in the art scene in Asia and Berlin. NON Berlin’s goal is to become the hub for Cul­ture and Arts exchange in Asia and Europe through sustainable projects, mapping networks, creating archives and providing up-to-date information. 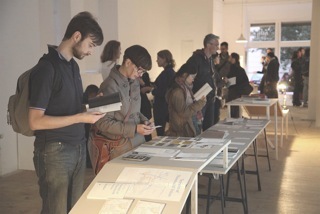 By curating special exhibi­tions, forums, seminars, art performances and inter-media projects, NON Berlin aims for these activities to initiate a refreshing discourse different from those controlled by the market. NON Berlin supports professional independent curators in Berlin and is open to support those who are willing to express their creativity. 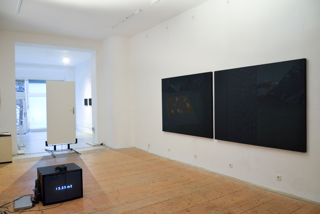 In particular, NON Berlin aims to carry on research into Asia’s outlook on the world and its philosophical methodology, from the contempo­rary point of view. Berlin art scene enjoys a great reputation worldwide with a rich ecosystem of galleries and public structures. Does your own vision of it match this image? How would you characterise it on a personal basis? Berlin is an ideal place for NON Berlin as it has been the centre of European culture in the past and modern times. Significant political events that happened in the past have also made Berlin a place which enables NON Berlin to look into the Asian identity from a more objective point of view. The current stable economic status of Berlin and Germany has enabled the city to re-emerge as the capital of European culture and arts, therefore, becoming the perfect area for NON Berlin to build networks, connect with people and practice our philosophy. What are the difficulties you have to face when introducing the work of Asian artists to European audience? Appreciating the work of artists is greatly influenced by the context in which they are presented. What I find most difficult about introducing the work of Asian artists is the limited view of Asia. In other words, it is the absence of diversity. A simple example is the biased view that Korean artists discussing North Korea or Chinese artists discussing the Cultural Revolution is a mark of being contemporary. It is also the reality that too much emphasis is given on works using Asian handicraft skills. In order to expand the horizons of European audience, I think long-term projects carried out over an extended period of time is necessary instead of a one-time international special exhibition organized mainly around art museums. Recognizing this need, we need to have continued interest and make long-lasting exchanges. We seek harmony between the “Western” and “Eastern” philosophy and culture. We live in a time where people, ideas or culture in different countries/continents move fast and (almost) borderless and yet are dominated by the “Western” point of view. NON Berlin aims to be an art platform where there is no one-sided but harmonious existence and perspectives of both the West and the East. How would you describe the vision Europe has of Asian contemporary art and the view Asia has regarding European art scene? Topographically and ideologically, Europe and Asia make up the grand roots and two major stems of humankind. Examining the historicity and flow of each cultural area formed based on these roots and stems should be seriously considered not only as academic research but also as a vital part of work in the art world. In particular, studies on Asia after the modern age or about Europe in the post-digital age are research materials that artists, exhibition planners and cultural officials should continue to peruse. 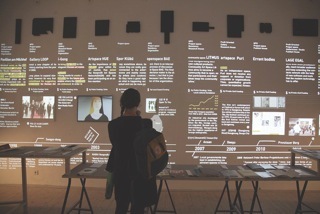 At NON Berlin, our intention is to make people understand how the international world is now glocalised. The territorial borders between countries cannot block the flow of ideologies, social, political ideas people have, and every event that occurs somewhere can affect a place located in the opposite side of the world. One might say that we are trying to break through the Western-centered point of view, but in the end, we are striving for a space for harmony where there is no superior idea or philosophy over another but co-existence. What could be done in your opinion to set closer ties between Asian and European art scenes? The most important thing is to build a sustainable platform. This task involves funds, planning ability, managing skills and, of course, the love and attention of artists. To serve as a sustainable platform for both Asian and European art scenes, NON Berlin presents small but well organized and specially planned exhibitions rather than large projects. Through visits that are small in scale but clear in purpose, we are striving to provide more frequent opportunities for exchanges between Asian and European art scenes. We are especially interested in utilizing telemedia technologies that will narrow the physical gap such as distance and time difference and aim for continuous exchanges between creators and makers by developing strategies for self-funding and finding support funding. How do you envision the future of cultural relations between the creative scenes of these two regions? In terms of the trend in the arts market, the arts market in the Asian region is growing rapidly and its tight network is assuming greater prominence. I think the real-time sharing of context around the world via internet is playing a huge role in this trend. However, there are still problems to be solved in relation to administrative procedures, sharing between insiders and outsiders about social perception, and the absence of discourse about the creative scenes of these two regions due to lack of continued exchanges. Nevertheless, it is worth paying attention to the fusion and sharing of exchanges between these two regions that have accumulated in the fields of humanities and sociology as well as arts. There have been various trials and errors from the physical and cultural gap between Asia and Europe, but I am hoping that the gaps will be narrowed and a more balanced market and discourse will be generated through local platforms such as NON Berlin. Also, I would like to see that a variety of channels will open to talented artists allowing them to carry out their work beyond these regions. 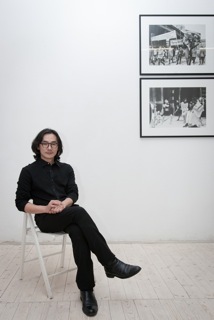 Graduated from the Department of Architecture of ‘Technical University in Berlin’ and as a registered architect in the ‘Berlin Chamber of German Architects’, Shin began his career at the ‘Hadi Teherani Architects’ and has carried out various projects including Suncity urban planning of Bangalore, India, domestic architecture projects and hotel projects both in Seoul, Korea and Berlin, Germany. He also extends his work in scenography and diversely participates in collaboration projects with artists. 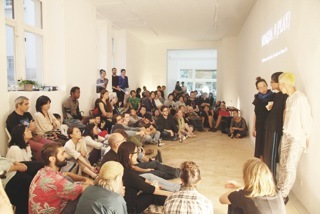 From 2011, He has been establishing the network of Asian artists in Berlin to carry out various experimental projects including contemporary discussion forum to ultimately establish Asian contemporary art platform.